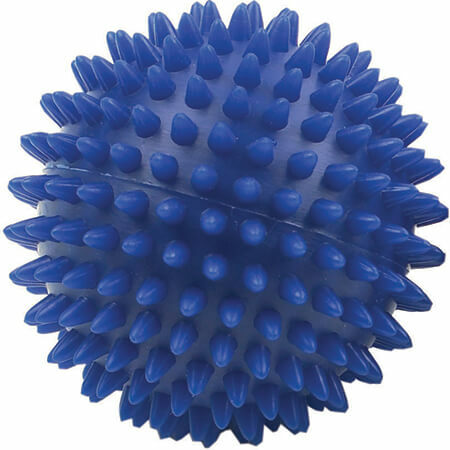 The large spikey massage ball can be used to release tight, uncomfortable muscles and can help to release toxins and improve circulation. Best used as a pair (sold separately) to work through trigger points or for dual muscle massage. You can use them with one in each hand, under each foot or to provide balance when placed either side of the spine, or under the buttocks. The larger size provides less intense pressure, if you are looking for a harder pressure we also have a smaller version available in a 7cm size.